We are a non-profit organization dedicated to improving life on our planet by educating the public about the benefits of adopting a plant-based lifestyle. We promote compassion toward animals, the environment, and humanity by choosing to live cruelty-free. Adopting a plant-based diet makes perfect sense for many reasons. 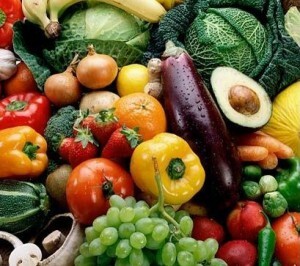 Vegetarians and vegans enjoy great health, inner peace, and a strong connection with the earth and the environment. We come from all walks of life and all areas of the world. We are all ages, colors, and cultures. Regardless of your reason for your interest in vegetarianism, we invite you to explore our site, contact us, attend our dinners and meet nationally and internationally known vegetarians, get involved and join our society. See for yourself how going vegetarian or vegan truly is the best thing you can do for yourself, the animals, and the earth. Clifton has been vegan for over 18-years and was a United States presidential nominee in 2016 for the Humane Party, the nation’s first vegan political party requiring all members to sign an oath abstaining from animal products. Roberts has also served as the Chief Executive Office for the Humane Party. Cost: $22 members, $22 students with ID, $24 non-members, $10 children under 12. Paid reservations are due Tuesday, May 14th. As spring begins, it is a welcome reminder of the all the natural life that share our planet. Seeing the vibrant green plants emerging against the muted desert landscape and hearing the birds chirping noisy as they make nests, reminds us of how much we rely on nature for our ecological, emotional, and ethical well being. By being a member of VSEP, you are showing your commitment to providing space and consideration to animals and other wildlife. We need more people to make the connection of how our daily choices in something as simple as our diet can have enormous consequences on the other species with which we share the planet. Help us educate and enlighten our community by bringing a friend or two to one of our VSEP events. Our Spring VSEP Dinner features Clifton Roberts, the Humane Party’s 2016 candidate for the President of the United States. Roberts has also served as the Chief Executive Office for the Humane Party. He is passionate about social justice, environmentalism, and animal rights. I am sure he will give an inspiring and uplifting talk. Join VSEP for a vegan bake sale at the Downtown Farmers Market and at UTEP in April to celebrate Earth Day. If you would like to bring baked goods to sell, help man our booth or just stop by and enjoy some delicious vegan desserts send an email to vsep.reserve@gmail.com. We will try to a have a few gluten-free options as well. We will be having a variety of other events including restaurant hoppers. Join us at EPCC’s Culinary Institute’s restaurant in April. Check out our calendar of events at www.vsep.org for details. Once again, thanks to all of you for helping VSEP a successful organization – we can’t do it without you! Please join us at our monthly board meetings, volunteer, host a potluck, or attend one of our events. New ideas are always welcome and the more you participate, the more we can do to promote a more healthy and compassionate lifestyle. For the past 6 years VSEP and EP VegSnob have held a Best of Veg – El Paso contest among our local eateries. 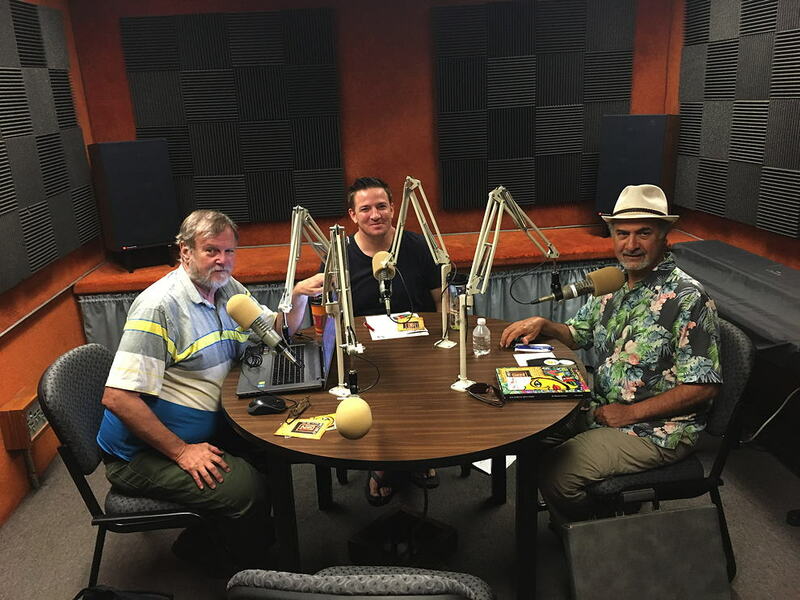 Hosts Greg Lawson & Tom Linney with guest Hal Marcus in the KTEP studio. Listen to Greg, Tom, and Liz talking about the health, ethical and compassionate benefits of eating a plant-based diet. VSEP is participating in the Amazon Smile program! If you shop online at Amazon, 0.5% of your eligible Amazon purchases will be donated to VSEP. All you have to do is visit smile.amazon.com and start shopping! Need Cooking Inspiration or Vegan Friendly Material? It’s at your public library! 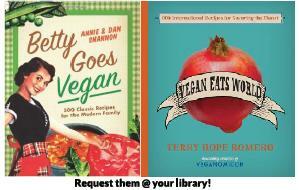 They have many vegan cookbooks in both print and ebook formats. You can also download free digital copies of Vegetarian Times and other magazines. Visit your nearest branch or elpasolibrary.org for more information. El Paso Veg Snob by Lisa Martinez Find out what’s cooking around El Paso with the city’s best blogger! Read Lisa’s review of the Singapore Cafe here! Read about the environmental impacts of meat in the Washington Post. A Transatlantic Conversation on Veganism: The Final Frontier with Charlie Moores and Jaime Newlin.